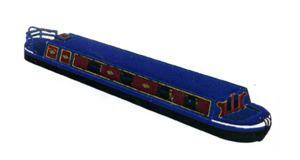 Scalelink | 1:76 (OO)-scale Craftline Models Canal Boats and Accessories. Covered horse drawn boat, (known as a 'Butty' when towed by another boat). Solid Balsa wood cargo area and cabin. Length 11.5in approx. Includes printed Balsa wood sheet, some pre-shaped wood parts and full building instructions. Pre-shaped wire parts where applicable. Hulls are solid Balsa wood. Paper colour panels for cabins, etc. 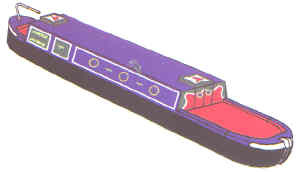 Covered Motor Powered boat. Solid Balsa wood cargo area and cabin. Length 11in approx. Horse drawn, ('Butty') boat. 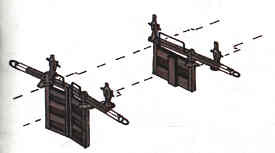 Simulated coal cargo. Built up sheet cabin, doors can be fitted in open position. Length 11.5in approx.Includes printed Balsa wood sheet, some pre-shaped wood parts and full building instructions. Pre-shaped wire parts where applicable. Hulls are solid Balsa wood. Paper colour panels for cabins, etc. 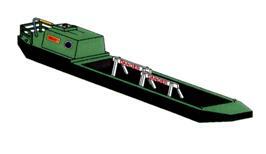 Motor powered boat with simulated coal cargo. Built up sheet cabin, doors can be fitted in open position. Length 11in approx.Includes printed Balsa wood sheet, some pre-shaped wood parts and full building instructions. Pre-shaped wire parts where applicable. Hulls are solid Balsa wood. Paper colour panels for cabins, etc. 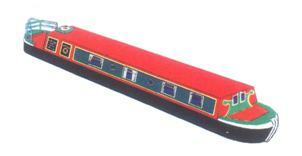 Solid Balsa wood cabin, narrow boat type hull. Length 7in approx. Balsa wood and Obechi construction. 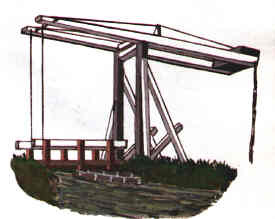 The Tug Cruiser for drawing a Semi-trad.